Custom ranch on 1/3 acre in District 12. 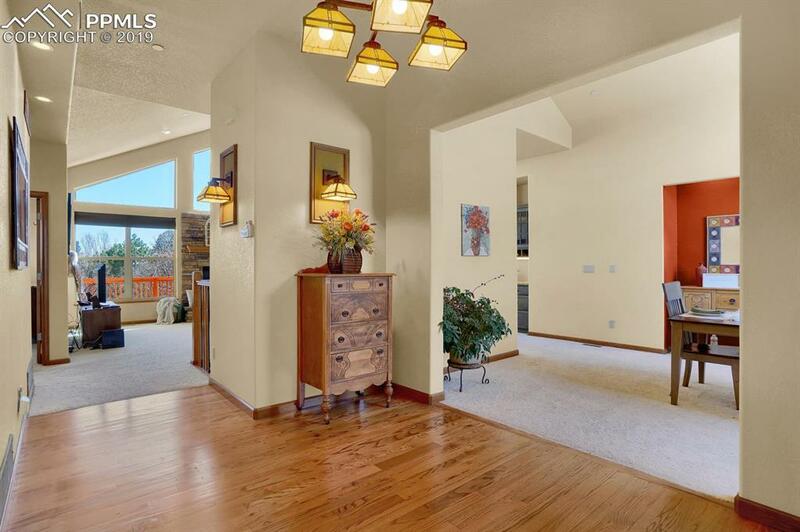 Start your tour in vaulted foyer that leads to formal dining room with built in hutch niche. 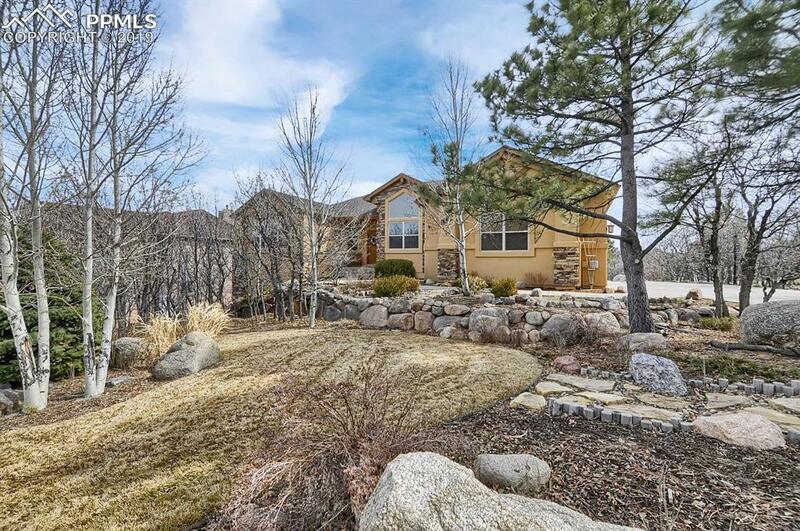 Dramatic mountain views make a statement at the front of this home. Second bedroom to left of entry, currently used as an office, has a walk in closet. Main level half bath is discreetly tucked in near the entry coat closet. An open concept highlights the family room with gas fireplace, expansive kitchen with spacious breakfast area. Walk out access to deck from kitchen and family room. Granite counters and substantial island are a focal point in this kitchen. Laundry room is nestled between garage entry and kitchen, includes a mud sink and cabinetry. Another coat closet is located near garage and a pantry is dedicated to the kitchen. Smaller, built in butlers pantry is located between family room and formal dining to shorten trips to the kitchen! The master bedroom is just off the family room and also has private access to the back deck. Two, large clothes closets flank the corridor to en suite bath. Soaking tub, dual vanity and a free-standing shower create a spa-like experience.The basement is pre-plumbed for wet bar. Plenty of space here for a workout area, living area and rec room! 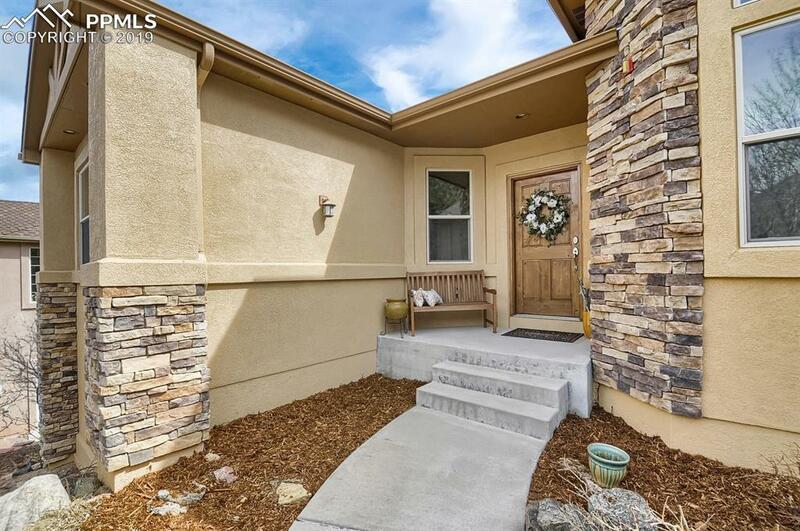 Walk out access to the back yard and a covered patio add to the entertaining value. Bedrooms 3 & 4 share a jack-n-jill bath and allow each, privacy. Bedroom 5 has access to a separate, full bath. A utility room with additional storage complete this gem. 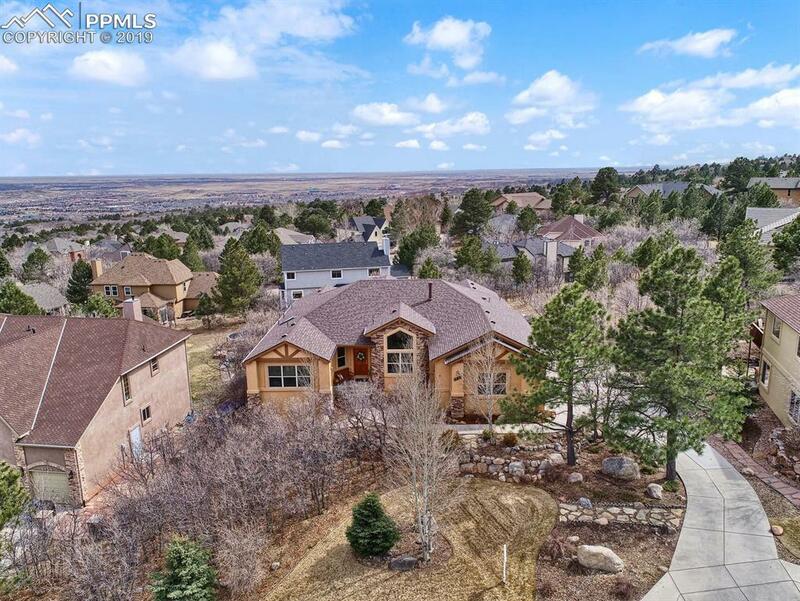 Easy access to schools, parks and Cheyenne Mountain State park.